Backlit capacitive touch panel with round display in Flat 55 family (standard frames 55x55mm), with proximity sensor and total customization. Everyone can create unique compositions, including images, icons, texts or logos, which are printed on a high-strength tempered glass. 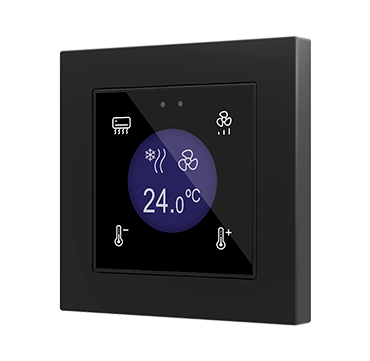 Room control is simple with the 4 buttons available and up to 4 indicators can be shown on its central display. 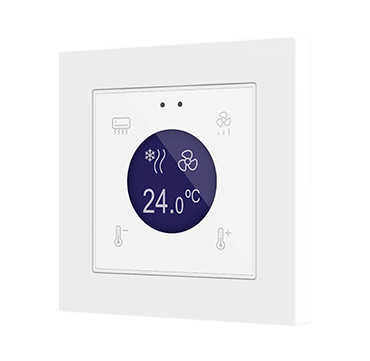 The backlit icons for buttons regulate their brightness with the included ambient luminosity sensor and attenuate when the user is not detected by the proximity sensor. 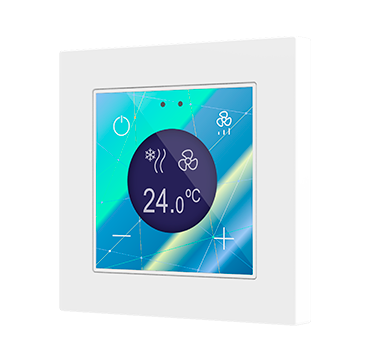 Flat 55 Display includes a thermostat, as well as 2 analog-digital inputs that may be configured for potential-free sensors and push buttons, temperature probes or motion sensors. Installation in standard mounting box with 55x55 frames of 1/2/3/4 modules (white, gloss white, anthracite or silver). 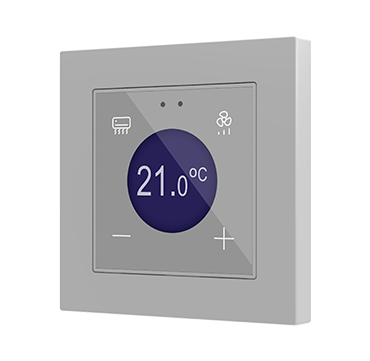 Accessories: temperature probe, motion sensor. Frame no included.